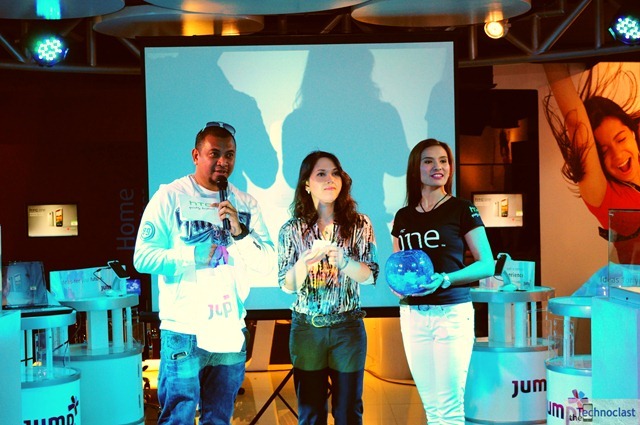 Last week not one, not two, but three events were held to launch the newest One series of Android smartphones from HTC. We were able to attend two of them – of which, this is about the Smart Pre-Launch event. And that’s right, Smart will likely have some sort of Plan-Exclusivity to the One series phones which include the One X Quad-Core demon; and the One V Single-Core Entry-Level device. The beauty of this, aside from the speed and stability that HTC offers, is that both phones come in Android 4.0 Ice Cream Sandwich with a new HTC Sense 4.0 straight out of the box. This makes it so that the One V is one of the first single-core entry-level phones to have the most updated OS from Google with no need to wait for an update. That said, the One X is their newest flagship and it is quite a phone indeed – one of the first few phones to launch with a Tegra 3 Quad-Core chip, and we gather the first to launch in the Philippines. This is currently the most powerful smartphone here, and that’s quite a name to uphold. 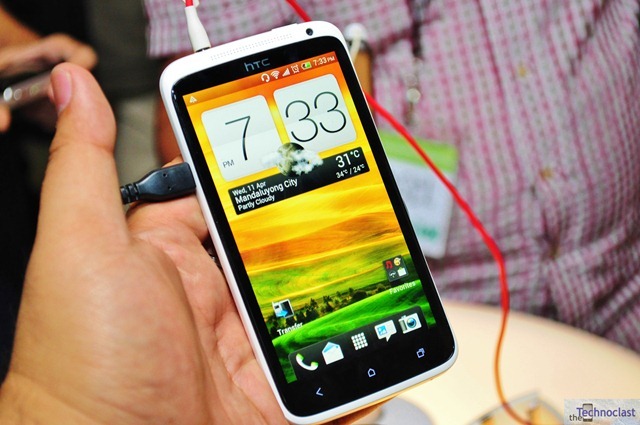 The HTC One X is slightly different from previous devices, as it is now housed in a lightweight polycarbonate body – which is claimed to be very durable and as tough as the Taiwanese-company’s Aluminum Unibody counterparts. Likely, the polycarbonate was chosen for a certain reason – the phone is packing some specs that might feel a little warm to the hand if it were built with metal. Those powerful specs in question include a 1.5Ghz Quad-Core processor, large 4.7” 1280×720 Super LCD 2 display, 8MP Camera with LED flash, 1080x30fps video, 1.3MP Front camera, 32GB built-in memory, and the usual Android connectivity options. New features include built-in Beats Audio enhancements, simultaneous video & still image shooting, 4 FPS camera burst rate, and various other upgrades and tweaks from HTC Sense 4.0. It does not, however, have a MicroSD card slot (countered by free 25GB Dropbox for 2 years), the SIM slot is MicroSIM, and the battery is not removable (on account that the polycarbonate is a unibody build). With enough memory onboard, MicroSIM becoming more popular, and battery lifespans getting better, its not that much of a disadvantage for one of the fastest devices that will be out this year. The HTC One V is their newest, and quite interesting new single-core entry level model. It is one of the first few phones (if not the first) with Single-Core processors to have Android 4.0 straight out of the box. Specswise, there’s nothing quite surprising with it, but it stands out as a very affordable Android 4.0 device with the durability and features of a great HTC product. Specs include a 1Ghz processor, 3.7” 800×480 display, 5MP camera with LED flash, 720p video recording, and of course the obligatory WiFi, Bluetooth, 3G, GPS, and various other connectivity options. You’ll also be getting the new camera features from Sense 4.0 like the simultaneous image/video taking, Beats Audio integration and other enhancements. 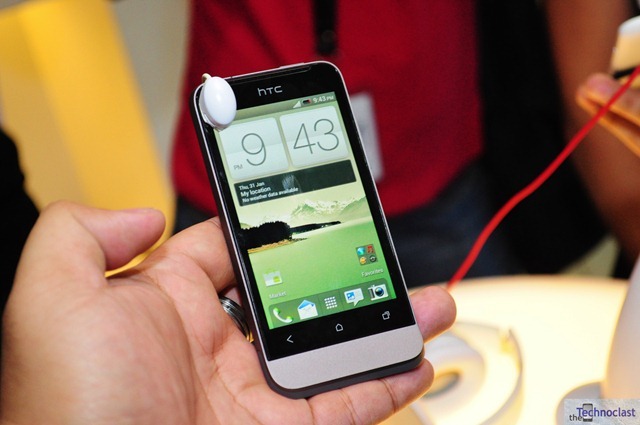 Unlike the HTC One X, the One V has a more standard MicroSD slot for memory expansion and a regular SIM slot – a welcome feature to users who are upgrading from an older phone. The battery is not removable though, but the case is made of a Unibody Aluminum which is more like the traditional HTC design. Speaking of which, you’ll notice a raised chin on the bottom of the device which is reminiscent of the HTC Legend, Desire, Hero design – a little nod to the old school devices maybe. This being a Smart event, (and held at Smart’s Jump Experience Center at Cyberzone, Megamall) we were sort of expecting some sort of information about the plans that the One X and One V would be available in. This information, however, was not yet final at the time of the event, so it wasn’t yet divulged. We expect the One X to be priced near the same as their flagship devices like the Galaxy Nexus, Galaxy Note, etc., while the One V should be comparable with most of their single-core Android plans. Once we have the exact figures, we’ll let you know. (For prices of unlocked versions, check out our next article for the HTC launch!) Meantime, you can check out both phones on display at Jump, or you can watch our video preview below. Enjoy! For more pictures of the event, check out the gallery below!